Our head Coach and Mentor–Dr. Keith Wade–probably won’t be able to fix your headaches–might not be able to do anything for that recurring acid reflux–and probably can’t help lower your blood pressure. Unless of course, all those nasty maladies are a result of your trading. You see Dr. Wade isn’t a medical doctor—amazingly he holds two separate doctorates in Finance. His specialty is getting your brokerage account up and feeling much better with more energy and a plumper rosier complexion. The kind of thing that happens when you start stuffing it full of fresh cash. 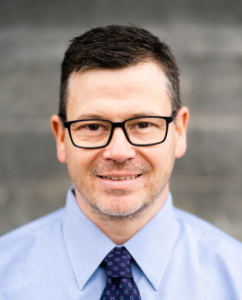 Dr. Wade attained his master's degree in 2001 from the University of Detroit and his doctorate in finance from Northcentral University, Arizona in 2008–and then got another doctorate in finance from Argosy University in Arizona in 2015. Goodness, that's a lot of accumulated knowledge, and he has been teaching graduate level courses in finance and business ever since. That's kind of a handy field of study if your plan is to make money from the stock movement of publicly traded companies–and even handier if you want to use derivatives–like options or futures–to juice your returns. He now teaches for several prestigious universities through their online programs–including hallowed midwestern ivy-leaguer Purdue in Indiana. And before that, he helped manage and guide the finances of Fortune 500 companies including behemoths Pitney Bowes and Ford. So the man is bright and knows what makes a business tick–knowledge that comes in handy for his real passion–Trading. You see Dr. Wade isn’t just a first class instructor–he also has a wide range of trading experience intimately studying certain aspects of the markets. This specialized study can reveal consistently rich new veins of profit for the open-minded. For example–an asset class we’ve never had the expertise to pursue until now is futures trading. Futures include everything from agricultural products like coffee and sugar–to metals like gold and silver. The interesting thing about commodities is they are often heavily influenced by seasonal trends. A fact another expert trader–Warren Buffett–discovered while attending the University of Nebraska back in the '50s. These seasonal trends create a powerful driving force that pushes stocks in predictable directions–if you know where to look–and when. Dr. Wade uses these seasonal trends with both options and futures–offering new and exiting strategies we haven’t previously had available to us. If you tap into a reliable and consistent enough trend you can sell credit spreads against it–and even use some of that premium to buy straight directional positions to really rocket your returns. That's some pretty inspiring research–29 out of 30 times–that's a cool 97% probability. Do you think you could make some money on that? And if that video was too vague for you here's something a little more specific Dr. Wade made back in May of 2018. Pretty cool huh? If you are curious the stock made an uninterrupted run of 26 dollars in just seven days–paused for six days–and then ran for 29 dollars straight up for 11 days between May 23 and June 7. Do you think you could have made some money on that? I mean credit spreads are great but can you imagine buying almost any call option you wanted to pick? Goodness, that could take care of your entire iced tea budget for the summer with the air-conditioning bill thrown in. Now that's just a taste of his research on seasonality–but he's also adept at pattern trading, when to use futures versus options, and helping you set up the right candidate list so you'll always have a killer list of trades at your fingertips. Plus of course, a whole lot more–Dr. Wade can help a rank beginner all the way up to a seasoned pro. The thing is everybody he's mentored so far has said the same thing at the end of their sessions–"I WANT MORE!" That's why we've put together a special three-session deal to get your feet wet–and you can get even bigger savings with an eight-session package. To see for yourself what's available click the link below. Just remember the best investment you can ever make is in yourself.